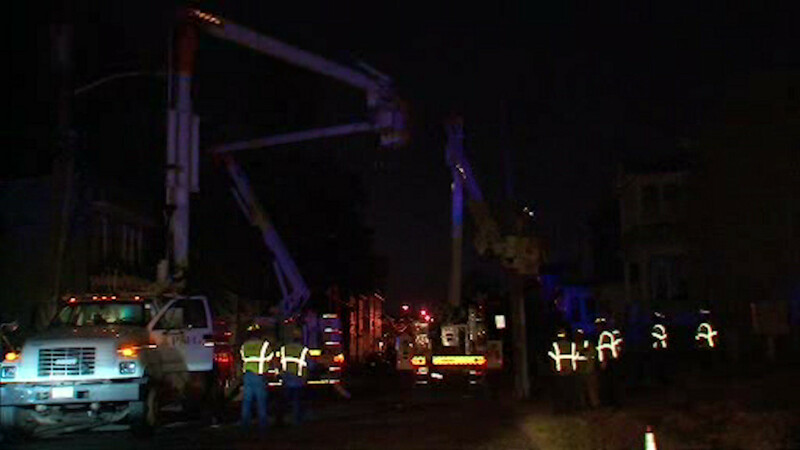 IRVINGTON, New Jersey (WABC) -- Apparent forgetfulness ended up causing big power problems Friday night in New Jersey. A crane brought down several electric lines in Irvington. It turns out the truck driver didn't lower the crane before driving it. More than two dozen homes were left dark. PSE&G says power won't be fully restored until Saturday afternoon.